Are you ready to kill the Demons and to die for about million times? This game is really Hard and challenging. You will die over and over again! 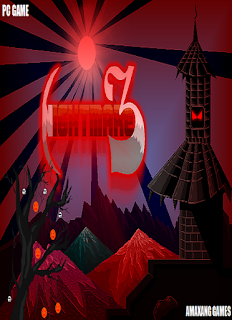 NightmareZ is a side-scrolling platform action retro game with increasingly difficult levels! Download NightmareZ now and play as "The Super HERO!" When you buy the Standalone version of NightmareZ direct on itchio, you will receive a Steam key. Need Help with the purchase? Click here to read instructions. The order page is secured with SSL. Your payment details are NEVER stored neither on the ITCHIO nor on Amaxang Games database. You are absolutely safe and secured! "A little action-platformer that shows a great deal of promise, its fast, frantic and all round pretty damn fun!" "NightmareZ is a platformer which is rough around the edges. Progressing through the stages themselves, with the player character’s majestic, if clumsy, movement is a blast."